These are the most LAVISH health and wellness travel destinations | SHEmazing! 2019= New Year, New….Food bingeing spree? Many of us began the year on a health and fitness kick. I say 'us', I don't actually mean ourselves included. Most people are still couch potatoes and the passing of time won't do much to change that. 80 percent of people will have abandoned their New Year's resolutions by February, which is a pretty high statistic. The only thing that could tempt us to change our deviant ways and embrace the health kick is…luxurious travel destinations. Luckily for you gals, we've discovered the best value deals for your health-focused trips. Travel Republic have helped us to bring wellness to the forefront of our priorities…by having a selection of INSANELY stunning destinations to lure us towards. Health and rejuvenation are the goal, and now it's never been easier to take a relaxing post-January break which doesn't negatively impact your lifestyle choices. Sounds good to us, so what are the winners? The Aghadoe Heights Hotel & Spa is unbelievably magical, and offers unparalleled luxury overlooking the world-famous lakes of Killarney. The spa at Aghadoe is honestly an oasis of pure serenity; the 10,000 square foot Resort Spa has 11 treatment rooms, relaxation areas, couples suites and a THERMAL SUITE. The hotel has a fully equipped gym, conservatory-style indoor pool and outdoor terrace and some stunning local hikes and walking trails to enjoy. This is next-level privacy chic, and it's adults ONLY. The RedLevel at Melia Palacio de Isadora is located beside the Tenerife sea, where the excellent service and facilities will give you a classy, unique stay. The destination has the elite SPA by Clarins on offer, as well as a private pool surrounded by Bali beds and a Pool Concierge service for the infinity pool. They also boast the LARGEST saltwater hotel pool in Europe, at a 5,000m2. If you need the perfect place for relaxed rejuvenation with the best food you can buy, total seclusion and dazzling sunshine, this one's a winner. Escape the hustle and bustle of daily life and embrace the wellness, if you've got the cash, that is. Ah, our personal favourite. This destination is NEXT. LEVEL. GORGEOUSNESS. If a far-flung and exotic setting is your biggest wish for the great escape, look no further than the beauty of Chiang Mai. The tropical Thai paradise is famed worldwide for it's calm and serene vibe, and private space. 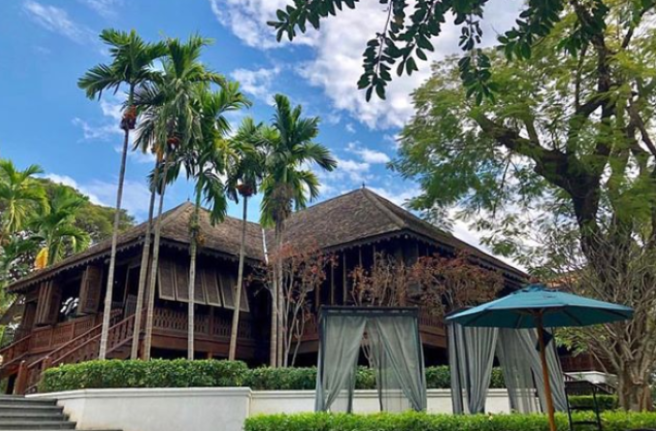 Nestled in lush scenery, the hotel boasts a luxurious spa, yoga classes, tropical gardens, a drool-worthy pool, a gym….and Tai Chi. Wowza. The hotel has a variety of wellness packages on offer to suit the needs of every traveller; it's the ideal health-driven retreat. There are also millions of elephant sanctuaries nestled in Chiang Mai which make the perfect tourist treat. The Golden Mile of Bentota beach is something of a gem, nestled along the southwest coast of Sri Lanka. The setting is totally unique, with the hotel overlooking the idyllic Indian Ocean and only 40 miles south of Colombo; Sri Lanka's capital. The relaxing resort comprises 162 rooms with sea or garden views, vistas of the Indian Ocean of the lush vegetation of the tropical shrubbery around the building. They've got two tennis courts, a health club with a steam bath and sauna and a fully-equipped gym. Oh, and don't forget about the outdoor swimming pool, a poolside snack bar and games. JUST LOOK AT THE POOL. The prestigious Palazzo Montemartini is a boujée five-star hotel in central Rome, within walking distance from Termini Station, Baths of Diocletian and Michaelangelo's church of Santa Maria degli Angeli. Need we say more? The exclusive SPA ExPure has pure unforgettable moments of relaxation. 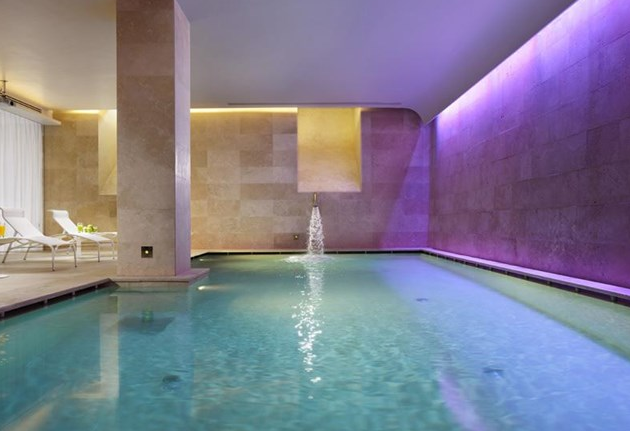 They've got massage and treatment rooms, colour therapy showers, heated swimming pools, saunas and Turkish baths. The dream. We. Are. Drooling. It's the destination we want, but also the destination we NEED. There you have it, ladies and gents. The top five wellness and health destinations the world can offer, with opulent, lavish and sumptuous locations for y'all to visit. You deserve this level of decadence, plus you'd achieve the most EXTRA of Instagram snaps. Retreat to these magical destinations and never look back. Actually, screw that. Just don't ever leave?